Ellen the sailing yacht of Perini, which is 40.42 metre, has been recently listed for sale. 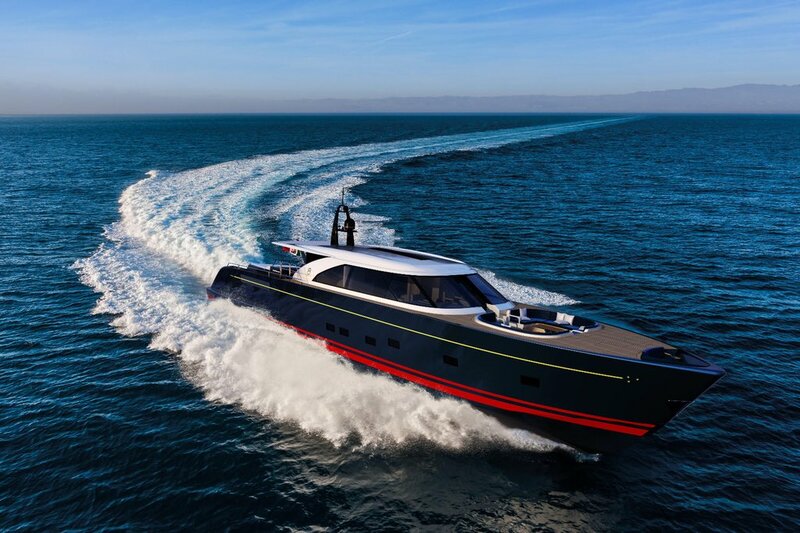 It has been listed by sale at G-Yachts by Benjamin Bensahel. The yacht has been built using the steel and aluminium material and I was built by Perini Navi Italian yard to ABS class. It was delivered to its first owner in the year 2001. In 2016, it went through refit of a multi-million dollar. The inner wall of the yacht has been built using the warm cherry wood which keeps the interior warm. The yacht can comfortably accommodate nine guests. For comfortably accommodating these numbers of guests yacht has four cabins. The yacht has a master suite full beam along with king size bed with a private lounge. The VIP suite has the queen size bed. In addition to this, there are two more cabins present and both the cabins have all entertainment options like a big screens television and it also has bathroom attached. Overall, the yacht layout is perfect for smooth indoor-outdoor living. It has a swimming platform, a big size aft deck that has integrated upholstered seating, where one can enjoy dining. The extended flybridge also has seating areas and also include sun pads and a barbecue grill. The top speed of yacht is 12.5 knots and it can achieve 3,300 nautical miles cruising speed in the 10 knots wind speed. Yacht gets the required power from its two 470hp MTU 8V183TE62 engines. The asking price of Ellen is €11,500,000 with paid VAT.